The housing recovery is turning out to be especially profitable for home flippers—who are pocketing returns as high as 80 percent in some markets. But buying fixer-uppers is not a sure bet. With gains in home prices slowing, so is the pace of home flipping. That's left flippers in some states selling off properties with low single digit returns, according to the latest data provided by RealtyTrac. There is still a lot of money to be made. Although the share of overall home sales from flipped homes has fallen, the average profit has edged higher—to about $60,000 per flipped house. But today's flippers are in a very different market than the boom years a decade ago when the star flippers on reality TV shows ran up huge profits with very little risk. "The formula was just buy a house and let appreciation do the rest." "The formula was just buy a house and let appreciation do the rest," said RealtyTrac vice president Daren Bloomquist. "That's not a viable strategy for the long term." When the housing bubble burst in 2006, many of the flippers of that era were stuck with overvalued homes they couldn't sell and landed in foreclosure with five million other American homeowners. The reality TV shows were soon cancelled. But the housing recovery in 2011 brought a return of the home flippers, typically small operations that buy and rehab a handful of properties at a time. Many of them turned to the large stock of foreclosed homes, including the large stock of abandoned or poorly maintained properties that the foreclosure crisis left in its wake. That wave of flipping peaked at the end of 2012, according to RealtyTrac data, when roughly 7 percent of homes sold nationwide had been flipped. But as the rise in home prices has slowed, so has the pace of flipping. As of the first quarter of this year, the share of flipped homes had fallen to 3.7 percent, according to RealtyTrac. Part of the reason is that it's harder to find houses selling at deeply distressed prices. As more flippers have come back into the market, they're bidding up prices of houses in need of an overhaul. "Now that there's more confidence in the housing market and money is looser, the competition is tougher," according to Chris Gentry, who rehabs houses in Greensboro, N.C. "That makes it a little more difficult on my end to get a good deal." As lenders have gotten better at managing the flow of foreclosed properties, there are fewer bulk sales that tended to depressed prices. Gentry said he's no longer seeing the kind of spikes in inventories that once made it easier for him to come up with a winning auction bid. But the successful flippers are still making money. Nationwide, flippers generated a return of roughly 30 percent on their investment. In some markets, the gross returns are substantially higher, including Pittsburgh (where the average return was 89 percent in the first quarter); Philadelphia (56 percent); Memphis (51 percent); Detroit (48 percent); and Seattle (48 percent). Flippers also are turning to older homes; roughly three quarters of homes flipped in the first three months of this year were built before 1990 and more than a quarter before 1950. That may be, in part, because the housing bust has created something of a dearth of new homes in many markets, according to Bloomquist. "That puts flippers in a good position—if they can rehab a home that maybe looks and smells and feels like a new home." But with the price gains of both new and existing homes slowing, it's getting harder to generate a reliable return. "Flippers have to be a lot more careful than they were a year ago," Bloomquist said. 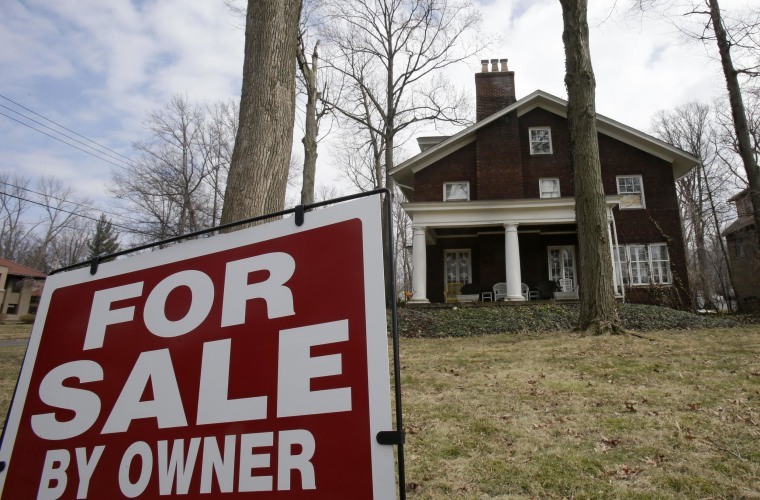 "Home price appreciation covers a multitude of sins when it comes to flipping." After strong gains last year, home prices are rising more slowly in many cities this year, according to a widely followed housing market index. Only five of the cities tracked by the Standard & Poor's Case-Shiller 20-city index posted higher annual price gains in February, while 13 showed slower growth rates, according to the latest data released earlier this week. On a monthly basis, prices rose in 19 cities in February, but the rate of increase slowed in most of them. The biggest price gains are coming in the West, where Denver and Dallas are the only cities that are hitting new post-bubble highs. The Northeast posted some of the smallest gains. It's also taking longer: The average flip took 101 days to complete in the first quarter of this year—up from 79 days a year ago. And as the inventory of distressed homes has fallen in many parts of the country, flipped homes are making up a smaller share of the housing market. Flipped homes as a share of overall sales fell 83 percent in New Orleans in the first quarter compared with a year earlier. Other big drops included, Baltimore (down 81 percent), Minneapolis (down 80 percent), Richmond, Virginia(down 80 percent), Detroit (down 76 percent), and Washington, D.C. (down 73 percent). Other cities seeing big drops in flipping included New York (down 37 percent), Phoenix (down 39 percent), Riverside, California (down 22 percent), Atlanta (down 57 percent), Chicago (down 29 percent) and Las Vegas (down 9 percent).